Italy seems to be a place where metal in all its myriad genres seems to thrive. 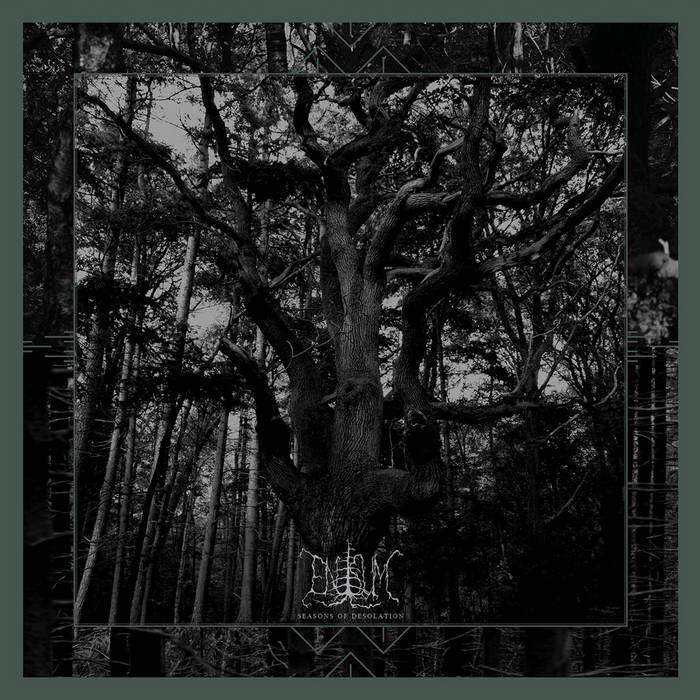 But atmospheric, miserable black metal seems to be a particular strong point, and add Enisum to that list. ‘Seasons of Desolation is the follow up to their much praised ‘Arpitanian Lands’ from 2015, and it is out at the end of April on Avantgarde Music. Almost an hour of miserable black metal awaits. Opener ‘Autumn of Melancholy’ is a monolith of gloomy despair, where raspy shrieks soar within icy riffs and a weeping atmosphere. A masterfully cold and misty forest of an album, ‘Seasons of Desolation’ keep going back to the well with dark, dense riffing and insidiously glorious melody underneath. Songs fight against the darkness, aching to break through the clouds of hopelessness but can’t ever quite make it. Infernal streams of molten black metal pour from ‘…of Desolation’, while a cloying rain soaks the depressing ‘Nameless Sadness’. The crushingly brutal ‘Obscure Depths’ is my favourite track here, taking a slightly heavier approach. Enisum are perfect for that rainy spring day, when the odd crack of sunshine appears through torrential rain. Built and crafted for misery but plagued with moments of hope, ‘Seasons of Desolation’ is a tour de force of black metal excellence, steeped in depressive moods. Well worth finding.